The University of Plymouth offers a range of courses in Teaching English to Speakers of Other Languages (TESOL). All our courses are run by experienced lecturers in the English Language Centre Centre and delivered face-to-face in class on the city centre campus. 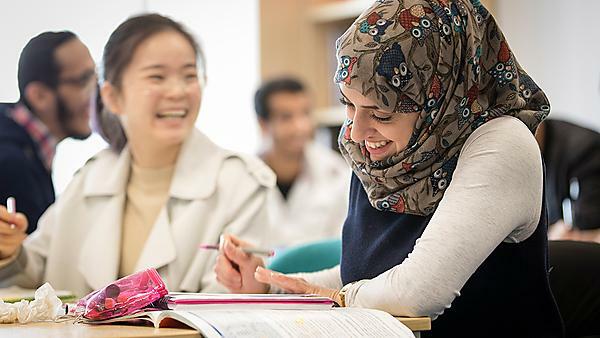 The English Language Centre offers a free one-day ‘TESOL Taster’ for University of Plymouth students who want to find out more about a career in English Language Teaching. This is offered in January every year. Please contact us to find out about precise dates for this academic year. We also deliver a 20-hour Introduction to TESOL course in semester 2 which runs over 6 consecutive weeks and provides an introduction to the basic skills and knowledge needed to teach English as a second language. Students who complete the introductory course will get a certificate of attendance and will be able to claim a further discount on the fees for the four-week intensive University of Plymouth TESOL course. For more details about dates, the price and to book and pay for your course please visit the online booking page. This four-week, 120-hour course, provides you with the skills and knowledge you need to become a Teacher of English to Speakers of Other Languages and offers the opportunity to gain an entry-level qualification (TEFL-i status) into the English language teaching profession. Through a combination of interactive seminars, tutorials and workshops, ongoing opportunities to engage in teaching observation and practice, you will learn how to teach English to learners of different ages, levels and backgrounds in a range of different contexts. By the end of the course, you will have developed the skills and confidence to plan and deliver different types of lessons using a variety of teaching techniques and materials. The University of Plymouth TESOL is similar to other TEFL-i level qualifications such as the Certificate in English Language Teaching to Adults (CELTA) offered by Cambridge English and the Certificate of Teaching English to Speakers of Other Languages (CertTESOL) offered by Trinity College. The University of Plymouth Certificate in TESOL meets the requirements of the British Council TEFL-i (entry level) qualification. This short course is accredited by the University of Plymouth and on completion, participants will receive a certificate of attendance and a transcript detailing the core components covered. This course is open to all University of Plymouth students, staff and alumni. Applicants will need to demonstrate a genuine commitment to the course and excellent written and spoken English language skills. If English is not your first language an IELTS score of 6.5 or above is recommended (CEFR C1). External applications will also be considered on a case by case basis. For full details about dates, prices and to book and pay for this course, visit our online booking page.